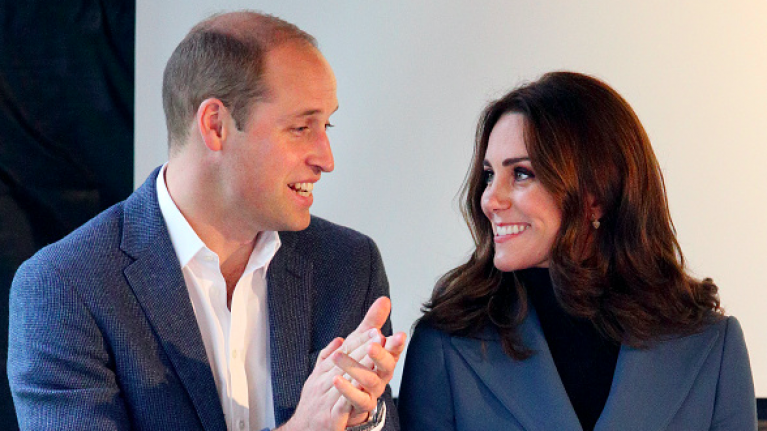 This Sunday, February 10, Kate Middleton and Prince William will be mingling with the stars as they're set to attend the 2019 British Academy of Film and Television Arts Awards, also known as the BAFTAs. Kate and William arriving at last year's awards. The awards will take place at the Royal Albert Hall in London, an event space the Duke and Duchess of Cambridge are very familiar with. "The Duke and Duchess of Cambridge will attend the #EEBAFTAs Awards ceremony at the Royal Albert Hall on Sunday 10th February." Continuing they noted that Prince William is also set to present an award, the prestigious Fellowship Award. This is Will and Kate's second time attending the awards, however, it's still unknown as to whether or not they'll be joined by Prince Harry and Meghan Markle. Given Meghan's acting background, it almost makes sense that she'd attend alongside Harry. Many of Meghan's fellow acting friends will too be present on the night as well as many who are dying to meet her including Margot Robbie - who is nominated for Best Supporting Actress for her role in Mary Queen of Scots. However, their attendance hasn't been confirmed as of yet and so, it's looking unlikey. Others expected in attendance on the night include Lady Gaga, Bradley Cooper, Emma Stone, Amy Adams, Timothee Chalamet and Melissa McCarthy. You can read the full list of BAFTA nominees here.